Pay TV subscribers have a range of new streaming options to satisfy their OTT needs. Don’t let them cut the cord too easily. 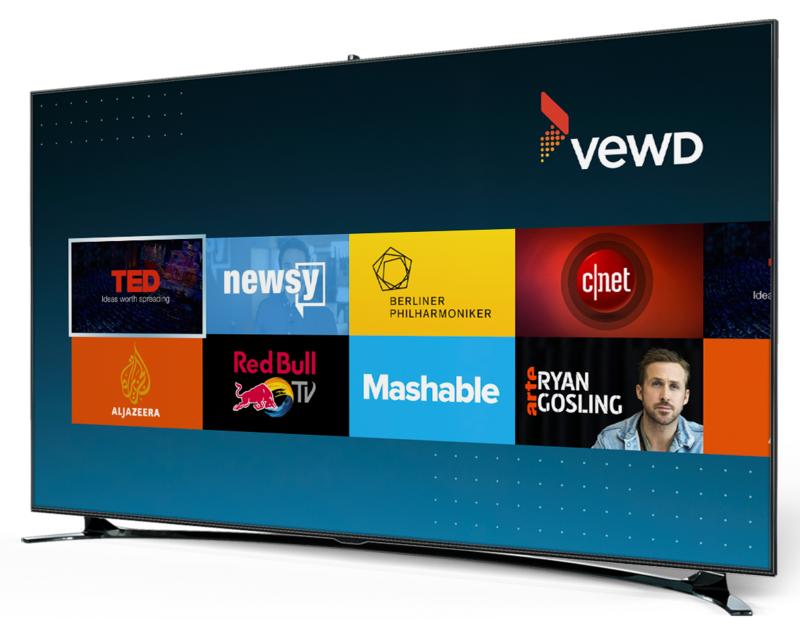 Transform your legacy set-top boxes with Vewd Atom and offer the apps your subscribers demand today without expensive upgrades. Offer fully-managed, unlimited OTT entertainment by enabling popular apps from premium VOD providers, regional broadcasters, sports teams, or even your own branded apps, all through a consistent user interface that works across your entire device footprint. With the entire OTT environment in the cloud, you’ll enjoy not only lighter set-top box software but also continuous updates to the Vewd Atom cloud. This ensures seamless support for the ever-growing number of OTT services around the world. Vewd Atom’s ultra lightweight client software fits on all your deployed, IP-connected set-top boxes. Delight your subscribers with a complete OTT experience while extending the life of your previous set-top box investments. Without the need for costly firmware upgrades, you can now launch new revenue-generating services directly in the cloud, such as casual gaming, expanded video-on-demand, and advanced advertising. Running Vewd’s complete OTT software stack, Vewd Atom’s cloud processes the most complex OTT services and delivers them to the client using proprietary technology. Vewd Atom’s ultra-thin client has minimal computing requirements and is built to reside on any IP-connected set-top box. This provides a hassle-free path to defragment any device population and enables modern OTT services. Never fear. Vewd Atom solves the thorniest challenges arising from legacy STB deployments. Improve the service offering and user experience without replacing existing devices. Introduce the same OTT experience across all set-top boxes. Control all devices through one easy-to-use, cloud-based interface. Add new OTT services directly in the cloud without the headache of firmware upgrades. Apps run sandboxed in a controlled cloud environment while video streamed directly to devices supports modern encryption standards. Easily scale to millions of users without taking on the cost of processing and hosting OTT video.